(Washington, DC – October 18, 2013) Has a British scientist finally unlocked the mystery of Bigfoot? Yetis –also known as the Abominable Snowman and one of the most elusive Bigfoot legends– have been recorded for centuries in the Himalayas, with local people and even eminent mountaineers claiming to have come face-to-face with the hairy, ape-like creatures. A photograph of a Yeti footprint, taken by British climber Eric Shipton at the base of Everest in 1951, sparked global Yeti mania. New DNA research collected by Professor Bryan Sykes, a leading British geneticist, reveals a unique genetic link the may answer the centuries-old mystery — what is Bigfoot? The results are featured in a new two-hour special, Bigfoot: Revealed [wt], produced for Channel 4 in the U.K. and premiering in the U.S. Sunday, November 17, at 8:00 p.m. ET/PT on National Geographic Channel. 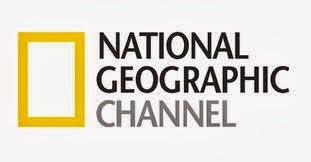 For more information, visit www.natgeotv.com and follow us on Twitter at @NGC_PR. Sykes sets off on a global quest to unlock the real story of Bigfoot. Sykes, professor of human genetics at the University of Oxford, collected and tested Yeti hair samples in the western Himalayas to find out what species they came from. After subjecting the hairs to the most sophisticated DNA tests available and comparing the results to other animals’ genomes stored on the GenBank database, he found that he had a 100 percent match with a sample from an ancient polar bear jawbone that dates back at least 40,000 years — a time when the polar bear and closely related brown bear were separating as different species. “This is an exciting and completely unexpected result that gave us all a surprise,” says Sykes. The Yeti DNA results are part of the most ambitious Bigfoot DNA analysis the world has ever seen, the Oxford Lausanne Collateral Hominid Project, which looks at the genetic relationship between our own species of Homo sapiens and other hominids. Last year Sykes put out a worldwide call for samples from formally undescribed species, such as the Yeti in the Himalayas, Sasquatch in America’s Pacific Northwest and the Almasty in the mountains and tundra of Russia. All are mysterious creatures that have fascinated cryptozoologists and confounded scientists for decades. The study set out to discover whether Bigfoot is an ancient hominid, a member of the human family like Neanderthals, giant apes or some other species — or whether it is simply a hoax. Sykes has assembled substantial physical evidence and analyzed more than 30 of the most credible samples he has received. The results, including Sasquatch in the U.S. and Almasty in Russia, will be featured in the two-hour special. Bigfoot: Revealed [wt] is produced for Channel 4 and National Geographic Channels (NGC) by Icon Films. For Icon Films, executive producers are Laura Marshall and Harry Marshall. For NGC, executive producer is Madeleine Carter; vice president, production & development is Kevin Mohs; executive vice president of programming and strategy is Heather Moran; and president is Howard T. Owens.